The B.O.B. 2016 Revolution Flex Stroller is ideal for jogging or walking. 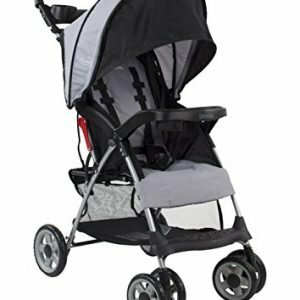 The stroller features a swiveling front wheel to maneuver tight turns, but it locks in place for increased stability even as jogging or over rough terrain. The B.O.B. 2016 Revolution Flex Stroller is ideal for jogging or walking. The stroller features a swiveling front wheel to maneuver tight turns, but it locks in place for increased stability even as jogging or over rough terrain. It offers an easy 2-step fold for convenient storage and easy transport and the front wheel is removable to make it even more compact for transport. High-strength aluminum alloy makes up the frame and the seat features poly and dobby weave fabrics with water-repellent coating and open-cell foam padding. The adjustable, padded handlebar offers nine positions to suit parents of all heights and offers 180 degrees of motion. This stroller is Shuttle system-ready when the usage of the BOB Infant Car Seat Adapter (sold one after the other) which can also be paired with a matching BOB B-Secure 35 Infant Car Seat by Britax or with any other major brand car seat. Renowned quality and performance make BOB the number 1 jogging stroller. Additional Features Interior seat width: 14.7 in. 2 interior seat pockets, 1 large seatback pocket and XL low boy cargo basket Enhanced quick-release design makes it easy to securely attach or detach both the back and front wheels Achieve correct front wheel alignment with simple twist of a knob Wrist strap for extra safety even as running Buckle locks stroller in closed, folded position Coil spring and elastomer core shock absorbers provide 3 inches of wheel Shuttle Adjustable shock release for children 0-40 lbs. and 41-70 lbs. For newborns 8 weeks and up and children up to 75 lbs. and 44 inches. Can be utilized from birth with the addition of an infant car seat.